Clean, efficient storage for 7-way round plugs when not in use. Helps keep plugs clean and protected. Spring loaded cover holds plug in place. 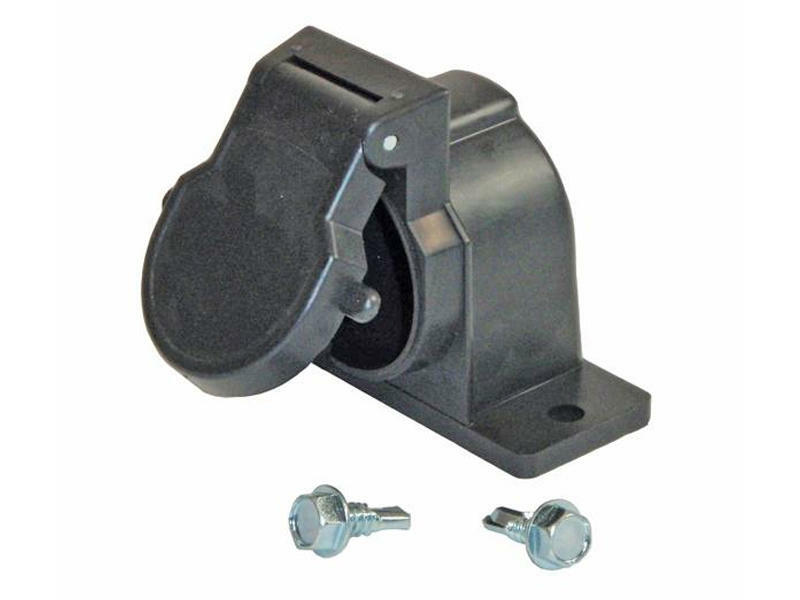 Mounts to trailer frame or fifth wheel pin box.